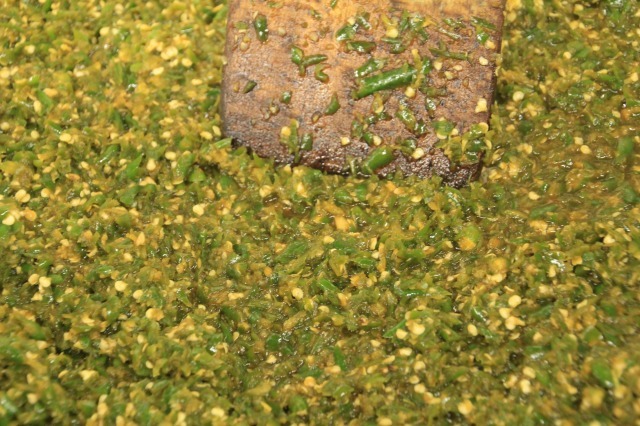 'Kara-kara namban' is the name of our original hot green pepper paste　(registered trade mark). 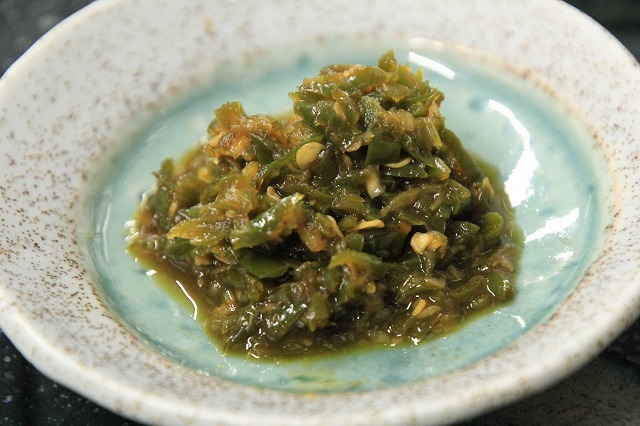 The main ingredient is 'Ajime-kosho (ajime-pepper)' which is special chili pepper of Hida. 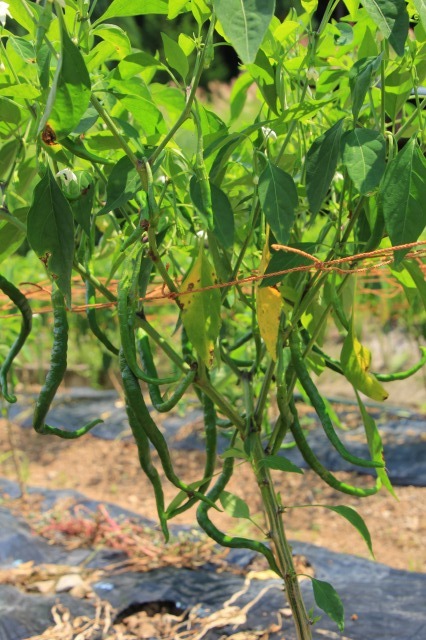 Ajime kosho is long thin shape chili and has sharp hotness and somehow sweetness at the same time. 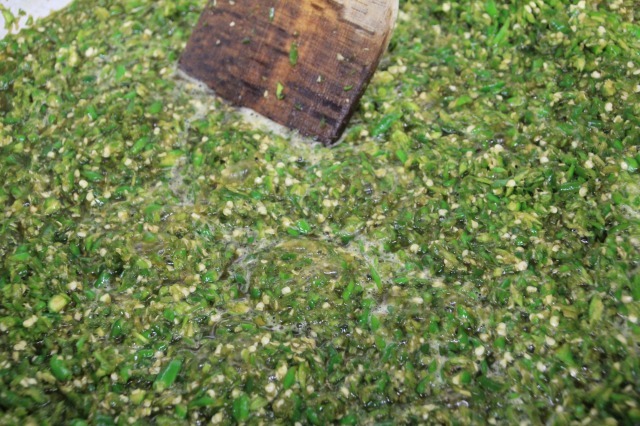 Chop them finely, but not too fine, and mix them with plenty of garlic and our original seasoning. Stir well in a cauldron until it's cooked. 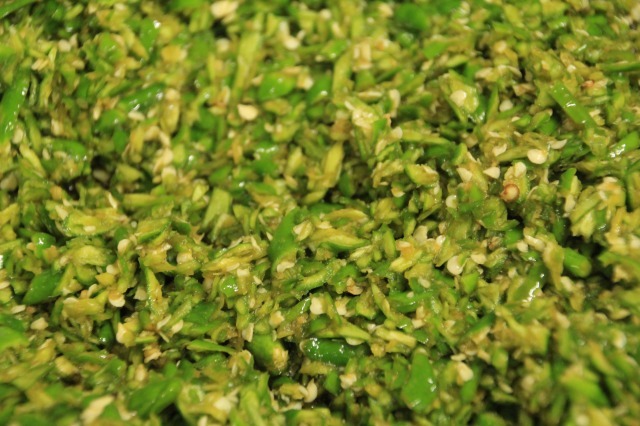 Hot chili lovers will love it to add special kick on pizza, rice noodles. 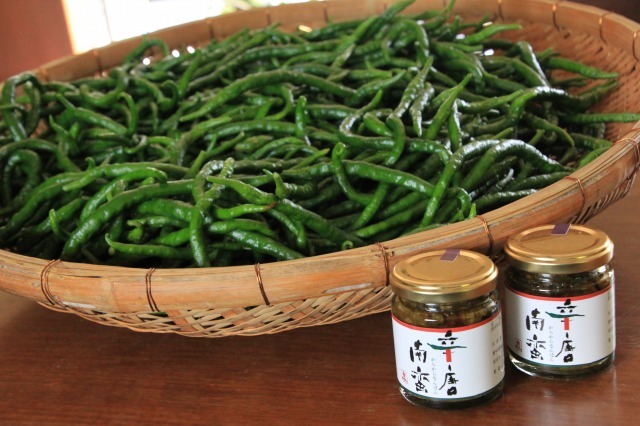 It's very popular original product of SAKANA which is sold online (only within Japan) or at SAKANA.